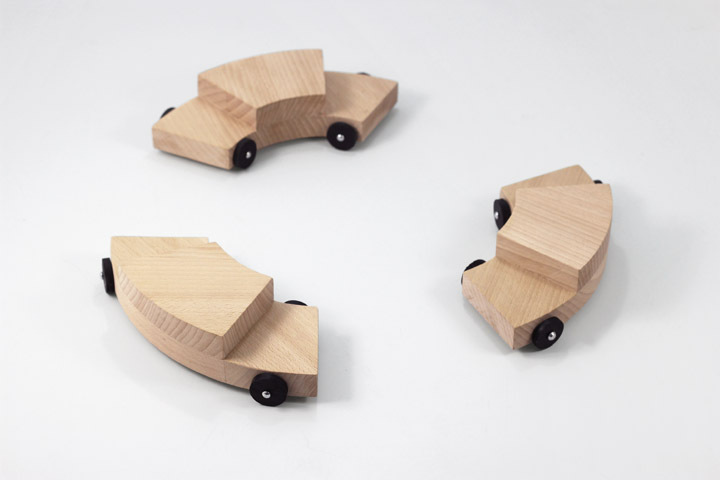 This is a set of everyday objects made of beech wood. 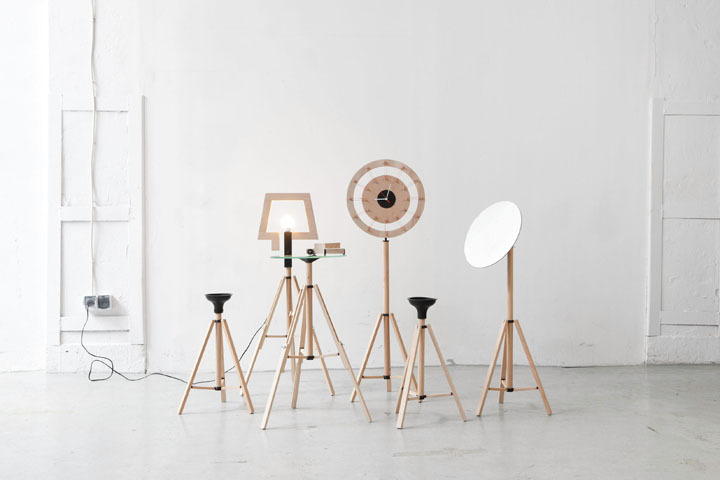 The set includes: a lamp, clock, mirror, two types of tables and a toy. 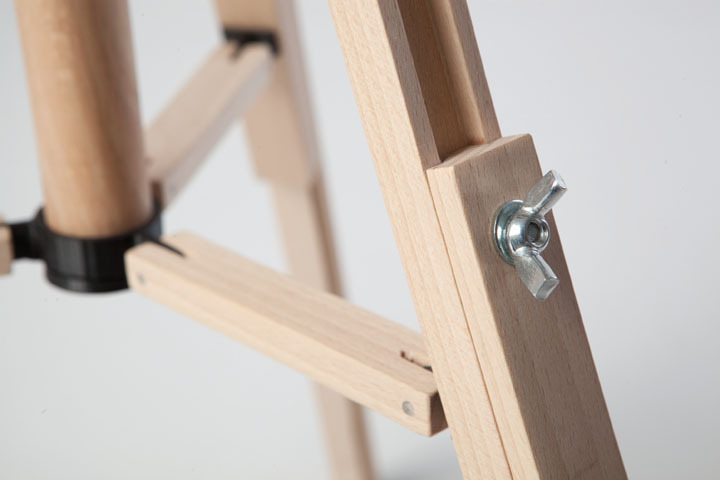 Their base is a wooden, 45-cm-high stand. When opened, the legs spread to 30 cm. 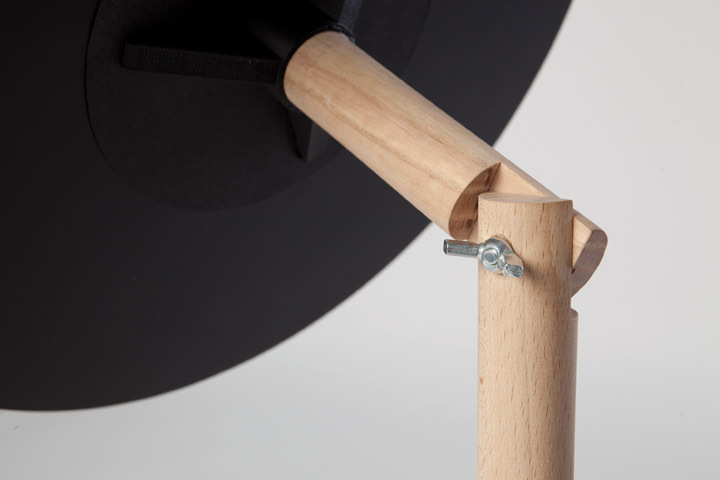 All elements that join the wooden parts are made in the FDM technology, 3D printing. The idea underlying this design was to create objects that do not take up much space when folded. The main module may be an inspiration to seek further solutions and functions. 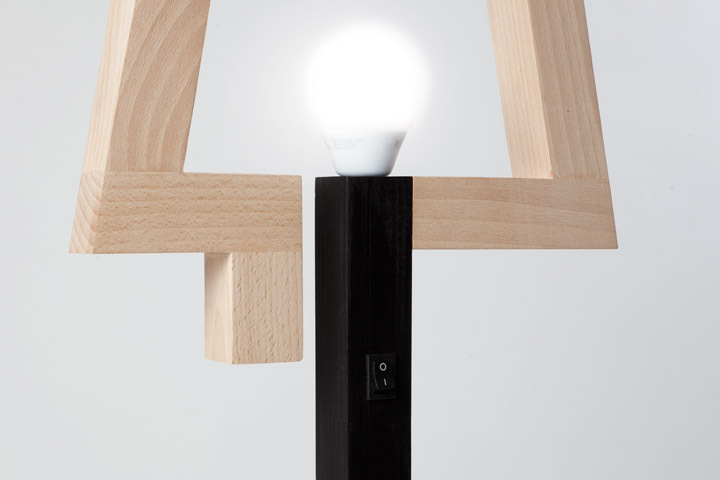 Thus, a single stand may successfully function as the base for a clock, a small table, lamp or mirror. 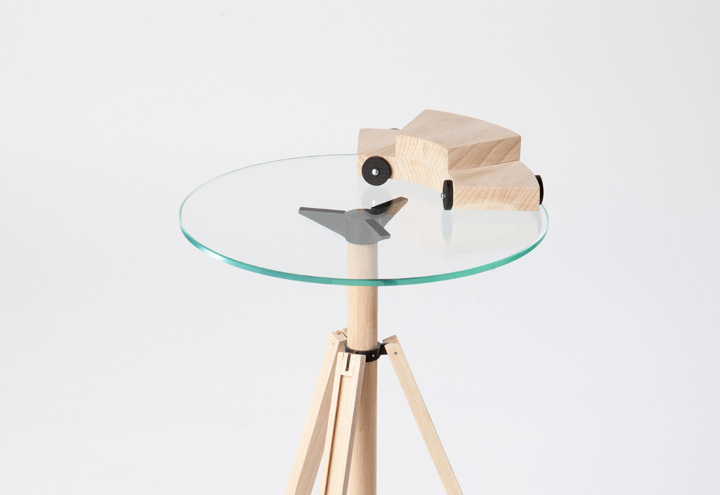 Moreover, the usage of three stands is a great solution for a larger coffee table.